A teenager suffered stab injuries after he was allegedly attacked by a group of youths at event at the Wellingborough African Caribbean Association . The 17-year-old was attending an event at the venue in Rock Street, Wellingborough, on Saturday night when the incident happened. An altercation took place outside the venue sometime between 11pm and 11.55pm, which resulted in the teenager being stabbed. He was taken to University Hospital Coventry for treatment and is in a stable condition with serious but not life threatening injuries. A police spokesman said the attackers are believed to be part of a group of white and black men, aged between 16 and 20. Police would like to speak to anyone who may have witnessed this incident or anyone who had attended the event at the African Caribbean Association and has any information about this incident but has yet to speak to officers. 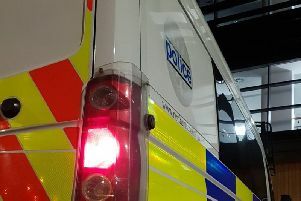 Two 15-year-old boys have been arrested and released on bail in connection with the incident.